The CBM South Pacific team is expanding! To rise to the challenges presented by the South Pacific region, our Australian subsidiary CBM South Pacific (CBM SP) is expanding its teams, and welcoming a new sales executive on board. In Australia, the coach and bus transport industry represents more than 1.5 million passengers. Reducing the maintenance costs of these public transport vehicles is a major challenge for some 3,000 passenger transport companies operating in the territory. Established in 2014, CBM South Pacific, a specialist in spare parts for coaches, buses and trams liaises with operators in the public and private transport sectors on a daily basis and handles their requests without an intermediary with a view to containing costs. 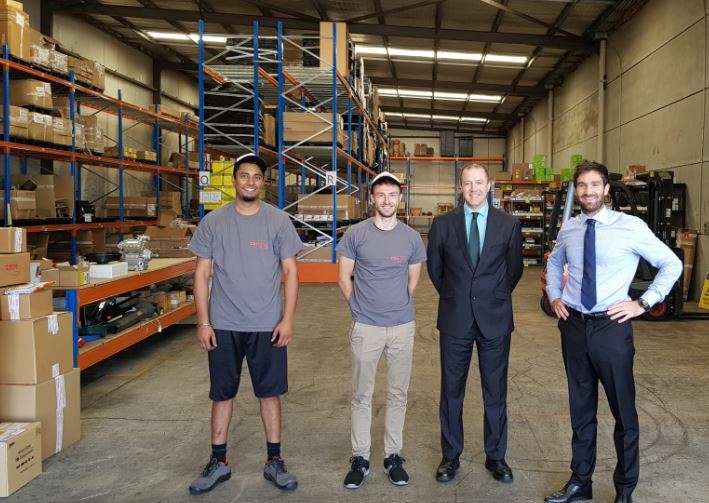 Our new Sales Manager South Australia Mark Willingham joins Marc Brison – Warehouse Manager – Nav Singh – Stock Controller – and Thomas Kempf – Subsidiary Director. The expanded team is prepared to efficiently handle the maintenance needs of transport vehicles (buses – coaches – trams) for all the brands marketed in Australia. These include Volvo, Scania, Mercedes, MAN and Irizar. CBM SP comprises two entities at present. Our 600m2 logistics platform and CBM South Pacific offices are located in Sydney. In 2015, to ensure greater efficiency and responsiveness, a second warehouse of approximately 400m2 was opened in Perth to respond more efficiently to demand in terms of spare parts for coaches, buses and trams. Today CBM SP encompasses around 250 clients, including Sydney Buses, Swan Transit, Transdev, ACTion Canberra, Busways, Transit System, Greyhound, while locally it has a scalable range of spare parts for transport vehicles comprising more than 2,500 parts stored over 1,000m² between Sydney and Perth.